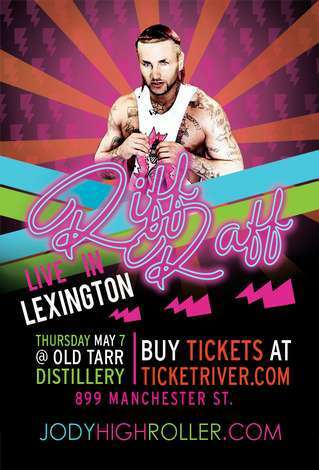 TriFection Entertainment along with Sigma Nu (University Of Kentucky) present to you RiFF RAFF LiVE in Lexington, KY at The Old Tarr Distillery. 899 Manchester St.
**This EVENT has a NEW VENUE. Located just 1 minute from previous location, the NEW VENUE is OLD TARR DISTILLERY located on 899 MANCHESTER ST.
TriFection Entertainment was created to provide a platform for local artists from the Mid-South region to be showcased along with a national headlining act.